We were looking for a venue for a family lunch on Easter Sunday. The Oak isn’t too far away from our home and thankfully they had space (I was only booking the Thursday before). They did say that a large party of 20 were seating at 13:00, we booked the table for 13:30, with the hope that they had ordered and we’d be able to get served quickly. 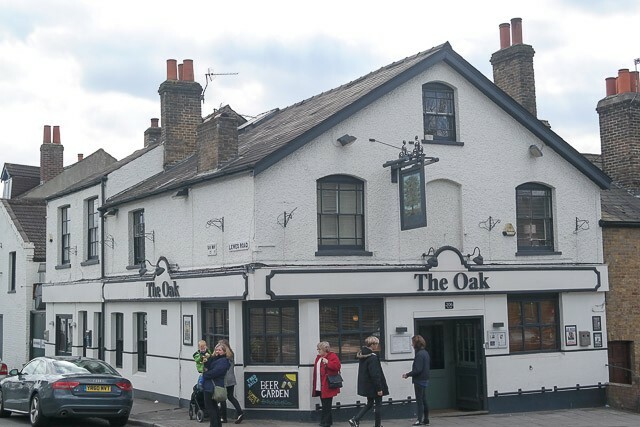 The Oak is on the main road from Bromley and was refurbished last year. There is some parking along the main road, and also the side street. The bar is at the front of the venue, with the restaurant at the back. Tables were laid out with paper napkins. The style of The Oak was shabby chic, with sheets of music and book covers in frames. Overall, it felt like a place I’d want to relax in. As we were walking, I just had to have a pint of Amstel. Claire shared a bottle of rose with the rest of the table. I ordered the pork belly, Claire asked for the Roast Lamb. Someone else on our table ordered the roast beef (for comparison). Due to the large party behind us, it took quite a long time to get served. 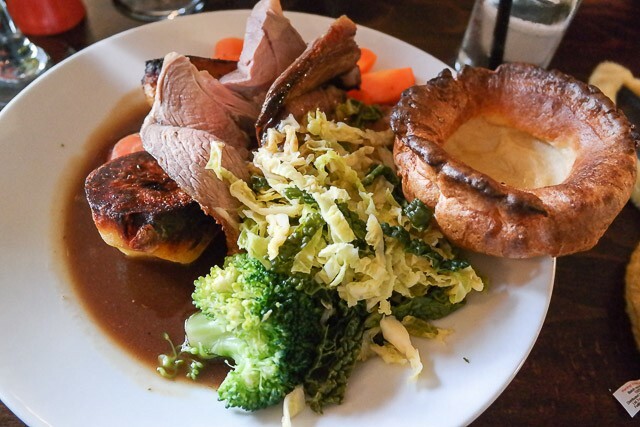 The plates consisted of meat, roast potatoes, carrotes, shredded cabbage, broccoli and a Yorkshire. The pork belly was quite nice, the (slightly burnt) crispy crackling on top was enjoyable. Claire had huge chunks of lamb to tuck into. The roast potatoes were sizeable and, whilst not crispy, were nice. The vegetables were good, cooked al-dente. The Yorkshire pudding was large, unfortunately not to my tastes, being doughy. The gravy was flavoursome and lots of it. 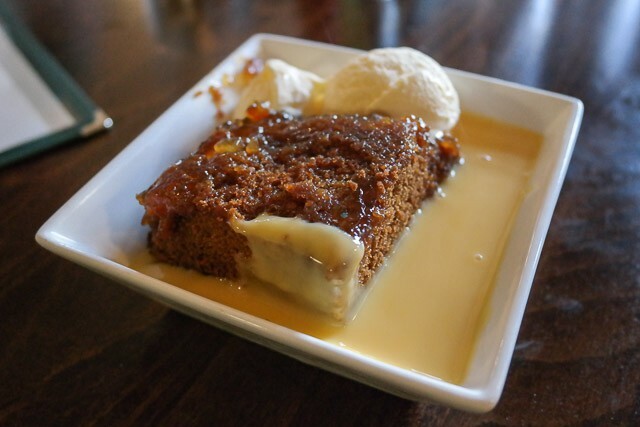 The menu consisted of comfort puddings – I ordered the Mango and Apple pie, the ginger pudding and sticky toffee puddings were ordered by others on our table. To be honest, in my opinion, the flavours didn’t work with the pie, and the pastry was very soggy. The other puddings were huge! They were eaten without much discussion, so I think it was quite well liked. They had baby changing facilities in the ladies toilet (yes!). The high chair was clean, and we were pleased they could offer a child’s roast. 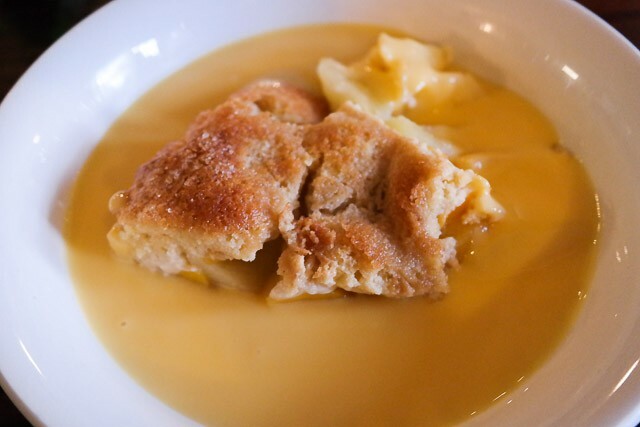 They were not able to offer any dessert suitable for our toddler, JW, as he was off gluten and dairy. 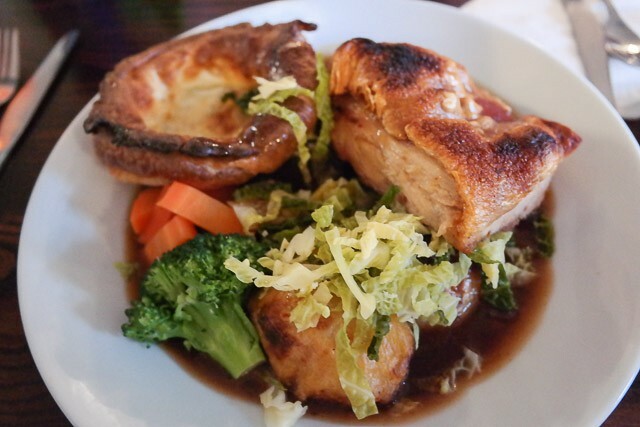 The Oak is suitable for family lunches. The Oak us a local, family friendly community pub. They show the international rugby games, so will always be visited by us. 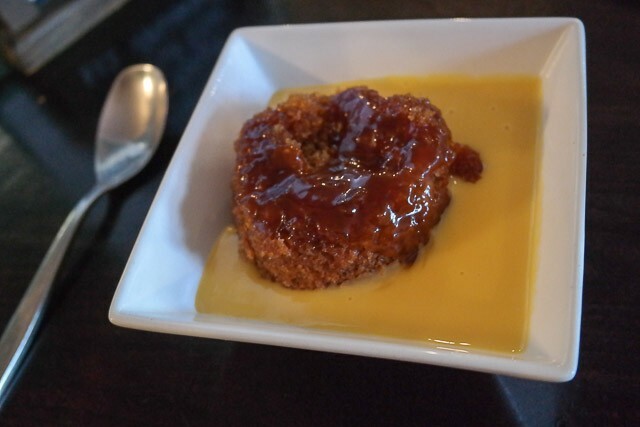 The food was ok, the roast being surprising good but the desserts were a bit disappointing. The service was helpful and friendly, but we did have to wait for quite a while due to the large party behind us. 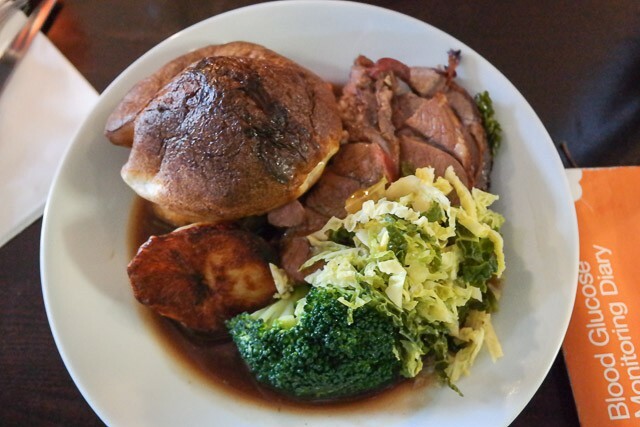 Overall, a family friendly Sunday lunch I would recommend to locals to give a go.